Favorite Moment: Love Story!!! And the singing tables game. 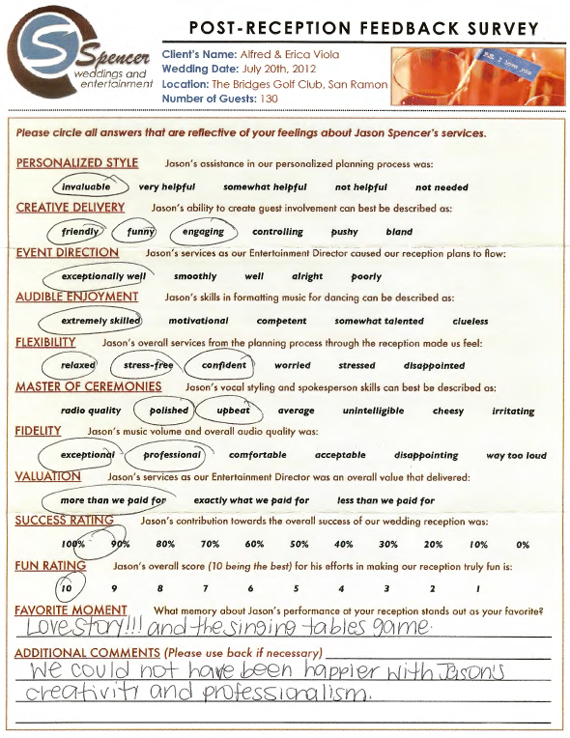 Additional Comments: We could not have been happier with Jason’s creativity and professionalism.